Snoqualmie, Wash., February 9, 2018 – Technical Glass Products (TGP) continues to lead the industry, rating as the #1 specified fire-rated glass manufacturer in North America among architectural specifiers as reported by a national research firm for 2014, 2015, 2016 and 2017. The company’s innovative designs and award-winning craftsmanship have provided architects, general contractors, and glaziers with the utmost quality specialized glazing and framing system solutions for more than 37 years. 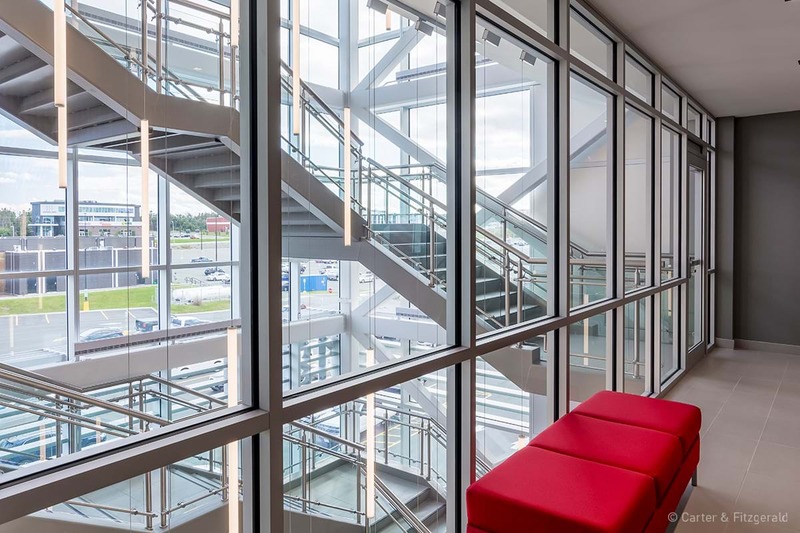 TGP’s industry-leading brands include the FireLite® family of fire-rated glass ceramics, Fireframes® fire-rated frames and Pilkington Pyrostop® transparent wall panels. As a further testament to the company’s leadership in fire-rated glazing, TGP in late 2017 took home two architecture industry awards for its new Fireframes TimberLine™ Series fire-rated frames. The product’s unique design was commended for its ability to combine the look of wood with fire-resistance, and was named winner of Architectural Products magazine’s “Product Innovation Award” and a “Top 101 Product of the Year” by Building Design + Construction. A division of Allegion, Technical Glass Products (TGP) is your one source for fire-rated glass and framing systems, along with specialty architectural glass products. The company offers AIA-registered continuing education, project consultation, product specifications, CAD drawings, BIM 3D models and rapid-response quoting. For more information about TGP’s products and services, call (800) 426-0279, visit www.fireglass.com (fire-rated glass) or www.tgpamerica.com (specialty architectural glass and framing).